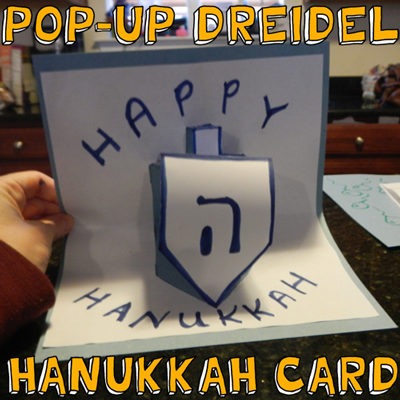 Check out our other Hanukkah Crafts. 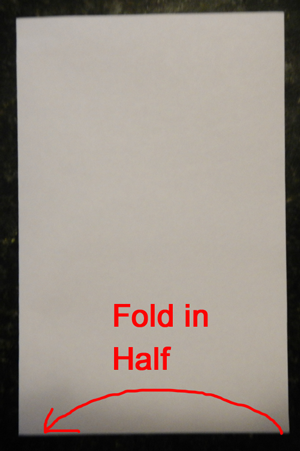 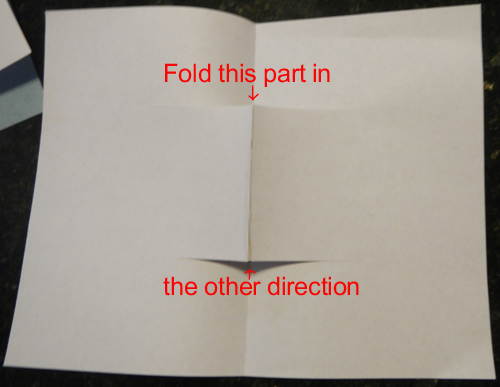 Fold this part in…. 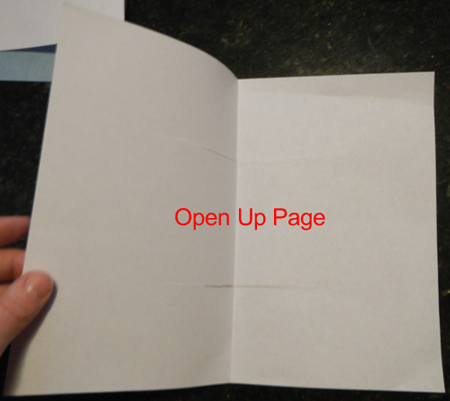 the other direction. 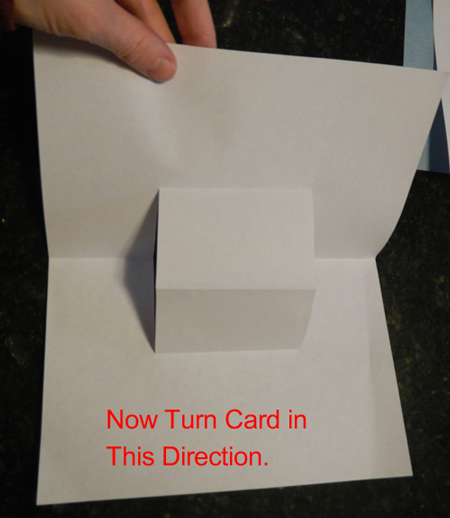 Now turn card in this direction. 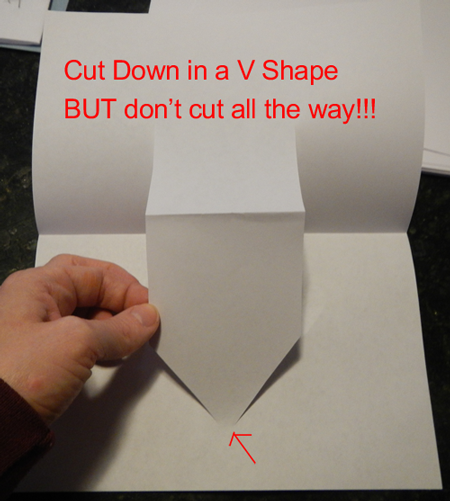 Cut down in a V shape, but don’t cut all the way!!! 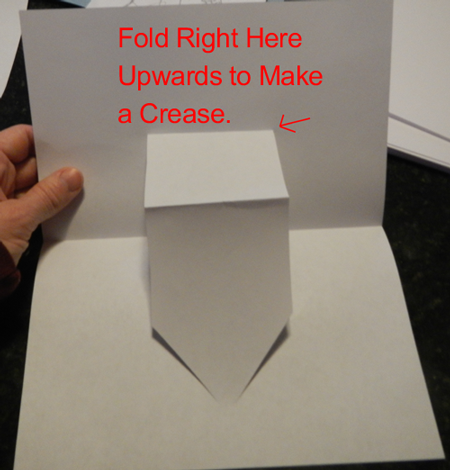 Fold right here upwards to make a crease. 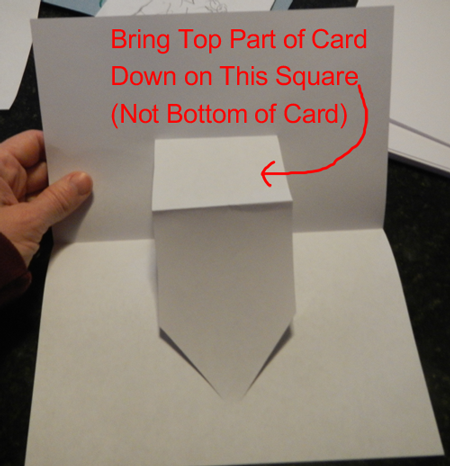 Bring top part of card down on this square (not bottom of card). 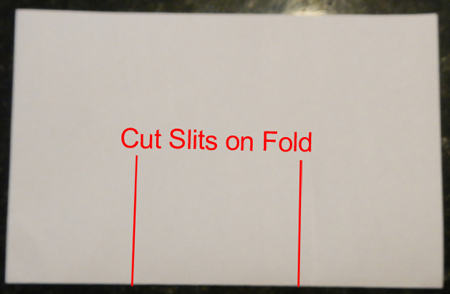 Cut 2 slits. 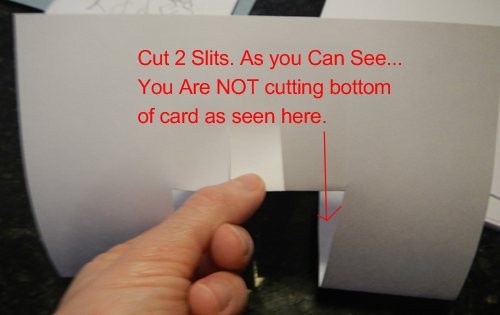 As you can see… You are NOT cutting bottom of card as seen here. 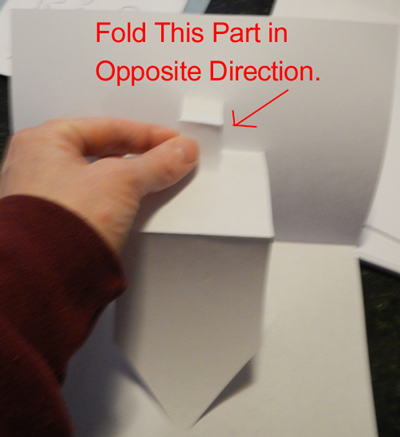 Fold this part in opposite direction. 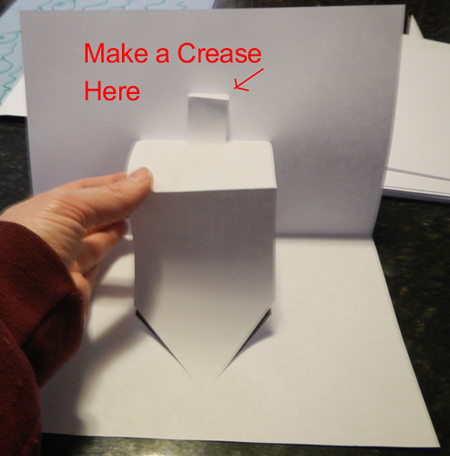 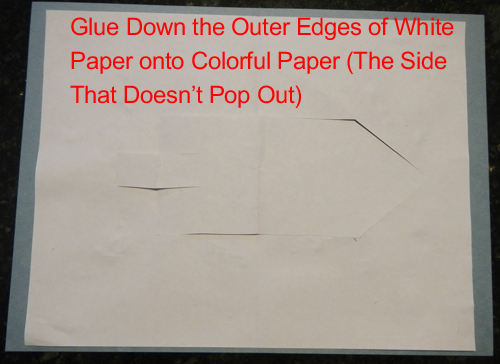 Glue down the outer edges of white paper onto colorful paper (the side that doesn’t pop out). 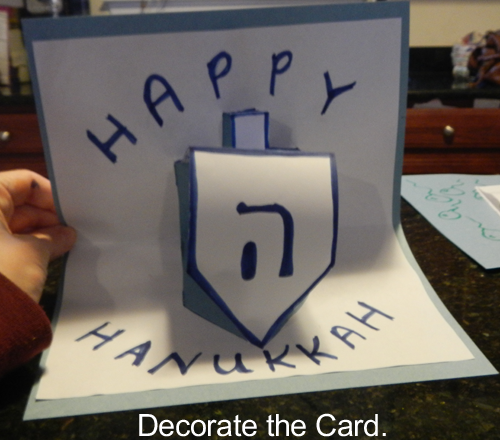 Anyone who receives this Hanukkah card will love it!! 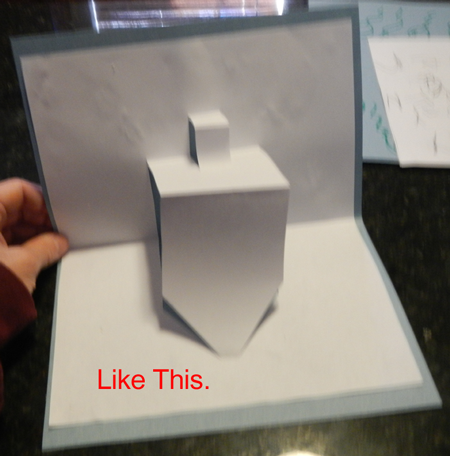 I love the 3D look of this greeting card…. 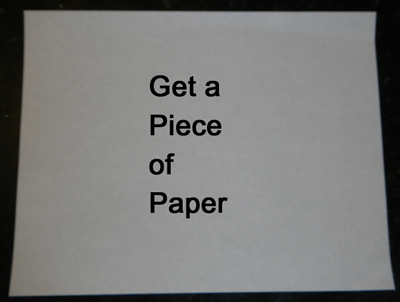 as will the receiver.